The more I read Anchorite apologetics, the more I realize they never deal with Reformed Presbyterians, but Baptists. That’s cool. Baptists are ubiquitous. The problem is the subconscious projection of Baptist mentality upon Magisterial Presbyterianism. Reading the Bible as Tradition by Andrew Stephen Damick. Interestingly, I had this same thought yesterday. Question: is the LXX translation also a tradition? It most certainly is, since translations are tradition. I’ll come back to that. I recently came across a conversation online in which someone insisted that he didn’t need tradition at all, because he had the Bible. This statement is universally rejection by our confessions (though it is the American mindset, sadly). If you are reading the Bible for yourself at home , then you are unlike most Christians in history, most of whom could never afford a Bible and many of whom could not read. I agree 100%. This is why our confessions say that especially the preaching of the Word of God. This reinforces the Verbal Ontology that is from God’s revelation. So I say “amen” to the good father. Again, I agree. The above mentality, typical of American evangelicals but firmly rejected by Confessional Protestants, is simply Greek autonomy in new dress. The desire for unmediated truth. If you are reading a translation of the Bible, then you are trusting someone else’s word about what it says. The Bible never says it’s okay to use translations, and it doesn’t endorse one over another. This is a good rebuttal to King James Onlyism. I would like to add my own thoughts. We see the apostles using both the LXX and the Hebrew traditions. If you are reading the Bible in the original languages, then you not only had someone teach you Greek or Hebrew, but you also made a choice or accepted someone else’s choice when it came to which version of the Biblical text you would read. There are multiple manuscript traditions, and they’re not all the same. See above. I took years of textual criticism and this is old hat. If you are reading the Old Testament in Hebrew, then you’re not using the Old Testament most often used by the apostles in their writings, which was the Greek Septuagint, a translation of the Old Testament made by Greek-speaking Jews completed perhaps as early as the late second century BC. I dispute that it’s overwhelmingly so. What we don’t see from the apostles is a clear endorsement of the LXX over the Hebrew, nor does it vindicate a lot of the LXX’s goofiness as a whole. If you are reading the Old Testament at all, then you are benefiting from the Jewish community’s traditions of textual transmission and editing—and not just the Jewish community in general, but particular parties within Judaism, which as a whole had several different incipient canons all by the time of Christ. And within the text itself, there are clear signs that not everything written under someone’s name is from that person. For instance, the Books of Numbers and Deuteronomy, both attributed to Moses, include the details of his death and burial. How could Moses have written that? He didn’t. Those details were included in a process of tradition. There is a lot of stupidity in American evangelicalism, but this borders on insulting their intelligence. Anyone with even a mediocre study bible knows all of this. And the Bible you read may have a different Old Testament than the one the apostles did, i.e., not just different in language but with a different list of books (the Septuagint includes books like Tobit, Baruch and the Maccabees). But in his above point he conceded that the Judaisms had multiple canons. How does he know that the apostles are using the Hellenized Alexandrian canon and not the Hebraic Palestinian one? Textual scholarship is by no means leaning towards the former view. After Beckwith it is hard to even countenance it. But what I try to tell anchorites is that Protestants hold to tradition in a ministerial sense. It’s impossible to read the Bible without tradition. Tradition gave you the Bible. So the question really is: Which tradition? I’ll take it a step further: how do you know which tradition in a non-circular manner? This problem is by no means limited to sola scriptura. It is the heart of every claim to authority. Argument: The Apostolic Church teaches it, therefore it must be so. Dilemma: This is 100% circular reasoning. In order to accept this, you have to first accept the presupposition that the “apostolic” church in question is infallible, which is in and of itself circular reasoning. It should likewise be noted that I have heard this argument made even when all previous evidence already stated in this post has been brought forward. At this point, it’s just appealing to authority of the individual church group, despite evidence that this group is in error. Frei investigates the breakdown between story and reality, realistic and figural interpretation. His Yale post-liberal presuppositions aid his analysing German liberalism. They do not help him construct a coherent alternative. A realistic interpretation is a strict correspondence between word and reality. There can only be one meaning: that of the author. This is problematic when one approaches biblical prophecy: were the prophets’ intended meanings the same as that of the New Testament readers? At this point the realistic paradigm breaks down. A figural reading is close to Reformed typology: the narrated sequence contains its own meaning (Frei 28). While Frei doesn’t draw the explicit conclusion, if typology is true, then one must have a narratival epistemology. One will note this is standard Protestant–especially Reformed covenantal–hermeneutics. So what happened in history, especially in Germany? The blossoming liberal schools quite correctly saw that if typology is true, then the bible has a coherent unity. 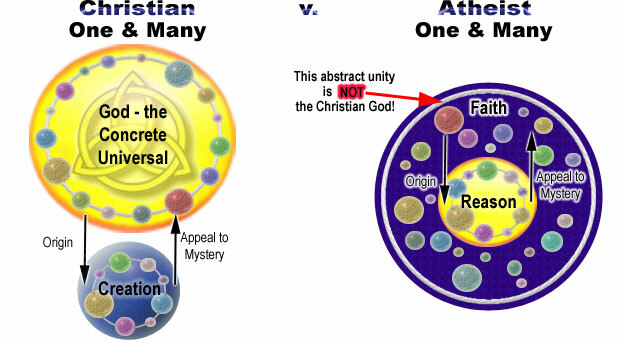 If the bible has a coherent unity, then it forces a narratival epistemology. If that is true, then dualisms of a Platonic or Kantian sort are ruled out. The development of hermeneutics didn’t take place in a vacuum. Scholars were interacting with contemporary philosophical shfits. The liberal schools would not accept a realistic hermeneutics because it was obvious (for them) that miracles and resurrection were not part of “reality.” They could not accept a typological reading because typology is at war with internalized, spiritual pious gush. Schleiermacher’s comments are appropriate at this point. His denial of the Resurrection and the miraculous is well-known, but perhaps not his reasons why. They are several: if the truth of the story is in the event, then it stands or falls apart from my internalized spiritualization of the text. Further, if the goal of Jesus (on the liberal gloss) is his coming-to-realization of God-conciousness, then the Resurrection makes such reading pointless. Indeed, the cross is an anti-climax. It’s not clear if Frei himself avoids all of the criticisms of liberal theology. His distinction between factuality and factuality-like probably won’t hold up under scrutiny (which is why few liberals adopted it). His understanding of narrative theology is brilliant, but narrative theology only works if the narrative is…well..real. Did it actually happen? If we do not have eschatology as the corresponding pole to history, as none of the liberals did, then it is hard to avoid Strauss’s criticisms. If the goal of hermeneutics is eternal, timeless truths (ironically shared by both modern Evangelicals and Schleiermacher), then Lessing’s ditch is insurmountable. If truth is Platonic and necessary and eternal, necessary because it is eternal, then why bother with historical contingencies like narratives? If this is the case, Lessing is absolutely correct. if we accept Nevin’s platonic essentialism, especially with regard to the Eucharist and Christology, then we run into huge problems. If Christ assumed the universal humanity, then he also assumed the rules of predicating of genus: the more universal a genus, the less specific it is. 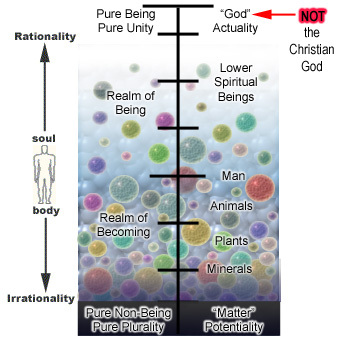 If Christ is the universal humanity, then there is nothing specifically human about him! Some of this will be my own reflections on CvT’s A Christian Theory of Knowledge and the rest will be towards a construction of anti-scale of being philosophy. I am not reviewing the whole book because it’s unnecessary. Why do a review of any CvT work after Bahnsen’s magnum opus? Further, the last 150 pages of CTK could have been left off and the book would have been better. While CvT’s critique of Romanism was good, he didn’t integrate his earlier (and fine) critique of Plotinus, Augustine, and being/non-being into his larger critique of Romanism, which likely could have buried Romanism. Instead, he got sidetracked on showing how Karl Barth is secretly in line with the nouvelle theologie of post-Vatican II theology. That simply doesn’t wash. For all of Barth’s problems, he rejected the analogia entis and the substance metaphysics upon which Rome is built. CvT gives a fairly good summary and critique of the early church fathers. There is some difficulty in this, since no one, even anchoretic traditions, are entirely clear on who constitutes (and when!) the ECFs. Even admitting Tertullian is a heretic, I don’t think you will find many exceptions in the ancient world to the epistemology CvT is summarizing. The later Palamite epistemology is simply a refinement (and perhaps bungling) of some neo-Platonic themes, so to the degree that CvT accurately summarizes and critiques the being theologies of Augustine, Plotinus, and Eurigena, the criticism applies to Palamas (and Palamas and Augustine are closer than one might suspect). CvT writes that the early church could not find a Christian view of freedom to coalesce with a Christian view of necessity, with the result the fathers opted for a nonbiblical view of free will. On the principle of continuity it is hard to see how Tertullian (and Justin)’s view of God is different from the Stoics’. But when he argues against Marcion, he says the Christian God is “Other” than man (107). Moving to the fathers (Origen and Clement) we see the scale of being hardened in place. CvT quotes Plotinus to the effect, “thought is motion” and this is inferior to ecstasy. (Rowan Williams has a helpful summary on this point). Here our chart is modified. God is now seen as hyper-ousia, above ousia. How does one then get from the highest point on the scale of being to “above being?” Mysticism, ecstasy. Van Til can then make the critique that many of these fathers employed both rationalism (scale of being, continuity principle) and irrationalism (ecstasy, mysticism). In fact, rationalism and irrationalism on this gloss are dialectically correlative. If man is on the scale of being and participates in good, then consistently we must say he also participates in non-being. This is the key point: on metaphysical accounts (and yes, I used the word “metaphysical”) man is defective because he is finite (he participates lower on the scale of being, even to participating in non-being. Biblical religion, by contrast, sees man’s problem as ethical: he is in rebellion to God. CvT then gives a helpful discussion on “total depravity.” We are not saying that man’s noetic capacity is ruined. It is in rebellion. When Plato took his line and divided it sharply between eternal being of which there was genuine knowledge or science, and non-being of which there was no knowledge, he was faced with the question of how learning by experience is possible (129). Van Til has a nice phrase to summarize all of this: slenderness of being. (And that is where these traditions find man’s free will). Rejecting the Augstino-Platonic view of Time: sheer timeless (moving image of eternity) would swallow up all distinctions. I almost understand what CvT means when he says pure rationality and pure irrationality demand one another (144). I wish he would have clarified it. I understand his criticisms of Barth and some of them are valid. I don’t think he fully showed how Barth’s actualist ontology is at odds with Rome’s analogia entis. The following helpful charts are taken from Christianciv.com. While tangential, my post had some relevance. A lot of comments on thisblog border on EO “triumphalism” of steady new converts and the ever-imminent doom of Protestantism. My point was that this phenomenon–which you correctly identified to an extent–is probably present in all communions. The Orthodox-Reformed Bridge blog was begun as a place where sincere Orthodox and Reformed who want to learn to understand each other might talk openly. It is also for serious inquirers and/or lurkers alike might read quietly so they can to understand. I sincerely mean no offense by this but given your reading and understanding of both the Reformed faith and Orthodoxy, I’m not sure there is really much here for you to learn. The blog is certainly not a forum for men like yourself to use as the resident naysayer, who takes pot-shots at the sins supposed (opinionated) deficiencies of Orthodoxy. I recommend that you use your own blog for such things. The current post focuses on obvious points — the Reformed have at best a weak, or no real commitment to Holy Tradition as understood and revered and given a priority in Orthodoxy. It is what it is. Sadly, I’m not sure this blog has much left to offer you, though you are welcome to stay and comment graciously. But it will not be a place for you constantly play the contrary Reformed naysayer. Use your own blog for that please. EO triumphalism, then it won’t allow people to adequately wrestle with the issues. I say this as someone who is still sympathetic to Orthodoxy (i.e. I still may end up there).